Many times low-income people and senior citizens are prime targets for unscrupulous business practices. LSNF’s works with clients to ensure that issues such as debt collection and lending practices are done in a lawful manner. Our volunteer and staff lawyers may provide counsel, advice or full representation in the following case types: bankruptcy, debt collection issues, predatory lending issues, contract issues, and unfair or deceptive sales practices. Each case is reviewed on its own legal merits for case acceptance. LSNF also partners with the North Florida Center for Equal Justice (NFCFEJ), the Florida Attorney General’s Office, the Federal Trade Commission (FTC), and other state and federal agencies to ensure that our client’s rights are protected. 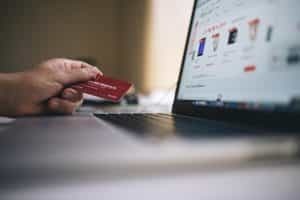 We refer cases to NFCFEJ and the Florida Attorney General’s Office when there is the possibility of a large number of people becoming victims of a consumer fraud. Learn more about this topic, click on CONSUMER LAW at FloridaLawHelp.org.